Amazing! Words can not really describe the quality of this property and its lovely original features. This is real class. 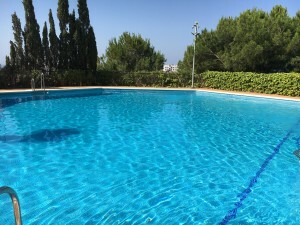 It has the feel of an old senorial property with very high ceilings on both levels, original andalucian tiled floors and large windows with original shutters. Then there are the modern features - new fitted kitchen, 3 new bathrooms - 2 are ensuite - and at the back of the property is a private patio with plunge pool. Steps from here lead to a lovely roof terrace with great views and set up for outside dining with BBQ and seating area. The property also has its own large garage with access from the patio. A roof terrace on this would work really well! Inside the house there is a large sitting room, dining room, fitted kitchen - all on the ground floor, plus a double bedroom with ensuite bathroom which is also accessed from the hallway leading to the outside patio. then up some lovely stairs to the 1st floor with a double bedroom with an ensuite bathroom, a 2nd bathroom, plus 3 more bedrooms - two have amazing ceilings! Access to the house is on a raised walkway so this makes it safe for young children and pets. 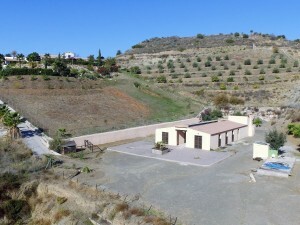 The property is in a small hamlet not far from the town of Loja that has everything. this would make an ideal B and B too and of course perfect as family home - would rent well as a holiday home too.